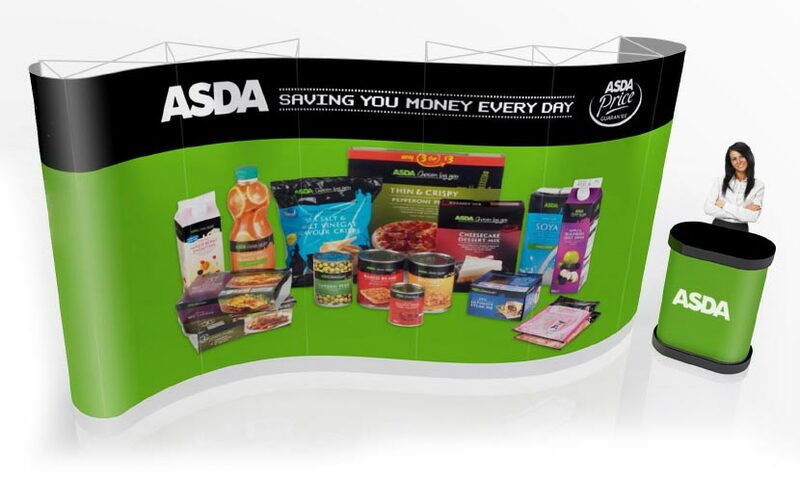 Versatile lightweight aluminium frame stand with tensioned banner graphic, is portable and easy to erect and requires no tools for installation. Simple wing nut fixings make erecting this stand simple and fast and is available in a selection of standard sizes and custom. Gantry still exhibition stand gives a more industrial look and suits many companies more industrial style and is commonly used by companies that have a more robust and rough and tumble nature, companies like Fox, Husqvarna, Einhell, Airsoft Pistols and Pirelli Tyres. 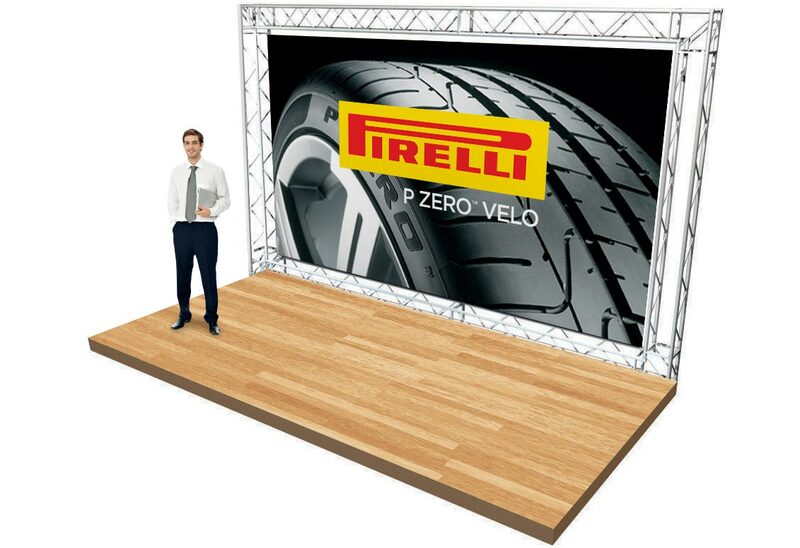 Ideal for small to medium events where a purpose built stand is to much, perfect for smaller venues and commonly used as backdrop for presentations and awards. 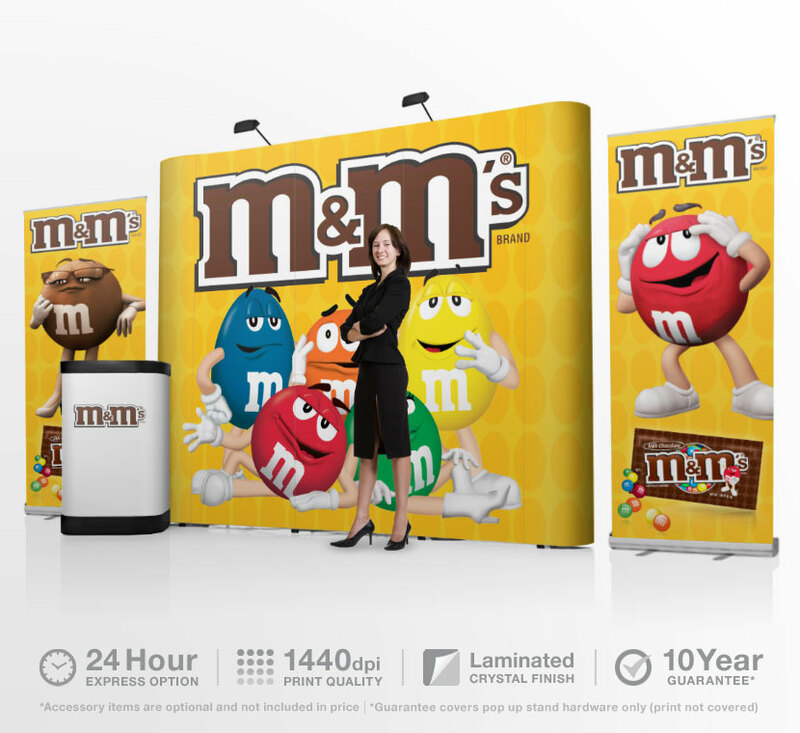 With this system you have complete flexibility to change your graphics easily and at a fraction of the cost of a pop up display, also these printed banner graphics are seamless and give a very Professional look and feel. 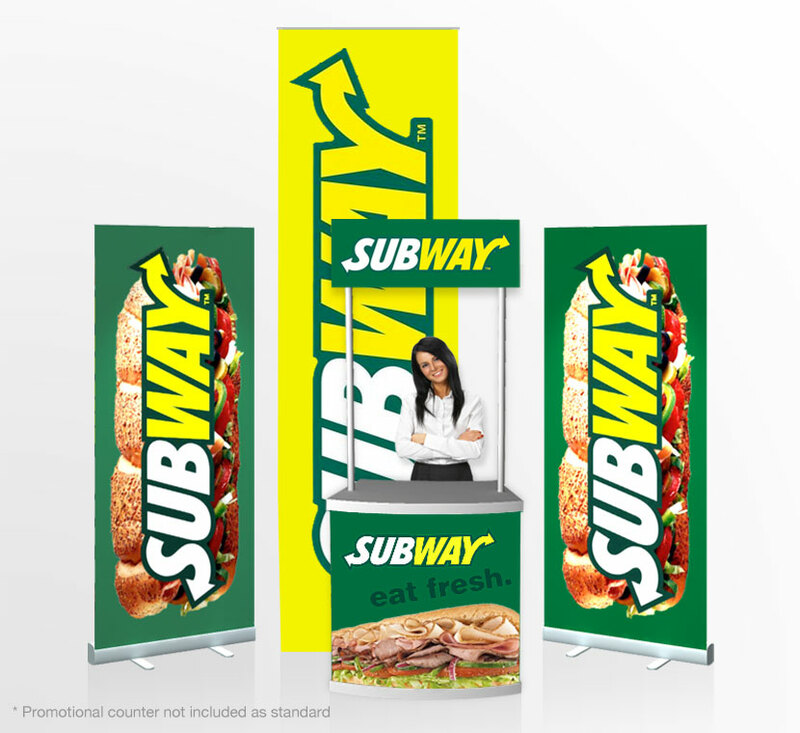 We print our banners at 1400dpi on reinforced banner, the end result is pixel perfect backdrop banner with vivid colours. The banner is tensioned to the gantry frame so the graphic is smooth. 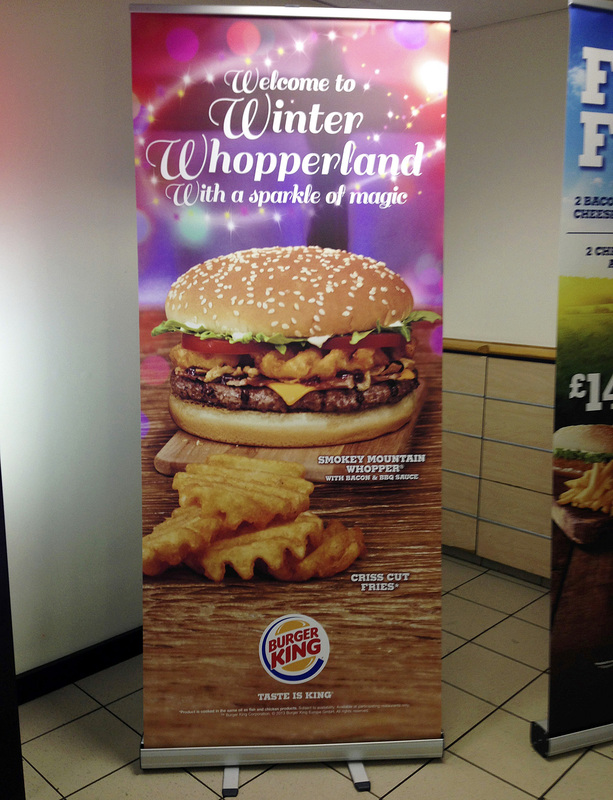 Custom systems can be achieved and we can also print graphics for the stand up to 3m tall. 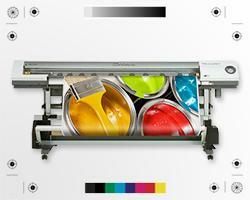 Completely versatile system that allows for expansion or retraction of the frame. 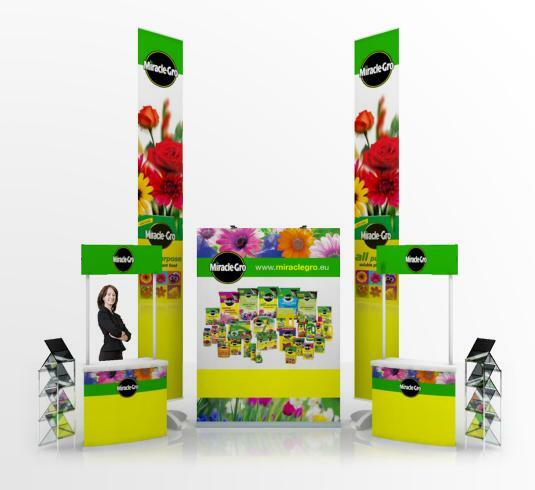 Ideal for different size situations and trade show booth sizes. As well as being versatile this medium price range stand can be adapted to fit powers spot lights and even large LCD monitors for audio visual effect. 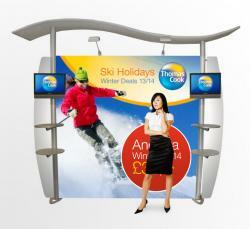 For more information contact the CAD team at stand banner. 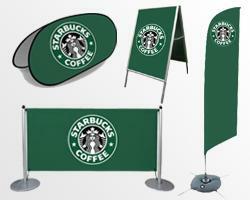 As long as the stand is not exposed to any wind in anyway, we deem this system worthy for external use. As well as not being in the wind we recommend this stand be fixed to the floor to ensure that it can not blow over. (please note it is the clients responsibility for damage to property or people, when using this stand).